This post may appear to some to fall under the heading of “magical thinking”—a psychological term that refers to the way people (who are generally considered neurotic) make meaning out of situations where, to the naked eye, there is none. For example, somebody steals a pair of shoes, then falls while walking in them and hurts herself, and attributes that fall to the bad karma or the punishment that is due her. The person who calls this type of interpretation magical thinking is making a judgment that there is in fact no connection whatsoever between the two events. In this post, I am not interested in the metaphysical, or some may say “new age” interpretation behind the theft of the shoes and the fall. What I am concerned with, what I find really interesting, is the connection that the thief is making between the two events. Because that’s the essence of storytelling—taking seemingly disparate events and connecting them to make meaning. We do it all the time. We say, “Third time’s a charm,” when we have tried something twice and it hasn’t worked. Or we attribute some painful event to the fact that it happened on Friday the 13th, or after a mirror broke. I purposely use superstitions in these examples, because that’s what superstitions are—determining a causal relationship to at-first-glance unrelated events. But superstitions are false, you may say, so how is this a good thing? One of the first things we need to establish about the field of storytelling studies is that scientific, verifiable, documentable truth is not necessarily its stock-in-trade. (Think of the difference between the father and son in the Tim Burton movie “Big Fish.”) On the other hand, the Truth of human experience, universal truth, often is. So whether or not a controlled, reproducible (remember your scientific method!) experiment can be designed that asserts the validity of superstitions or karma is not the point. What is the point is that the human mind can make that connection. And why is that important? Because that means that narrative is inherently ethical. When we make these causal relationships, we are asserting that actions have consequences. That our feet leave footsteps. That we can’t simply tramp through life letting the chips fall where they may. Now we all know that people use storytelling for ill as well as good. When Adolf Hitler attributed the problems of Germany to the presence of Jews he was determining a causal relationship that was not only false, it was incendiary. People regularly put tools that are perfectly benign, like a hammer or a pain medication, to ill use. But the general message that we get from storytelling, that our lives have meaning, that our actions have consequences, is an important one for us all. Even the next Hitler. I had a couple of really interesting conversations this week that put into sharp relief for me the power of the overarching narratives we tell ourselves about ourselves. A dear friend and my beloved sister both told me that they see me as a workaholic. And I realized that in fact, while that was my self-identity for a long, long time, I no longer see myself that way. Whether or not the number of hours I work has changed—and I think it has—I reject the pathology that the term implies. But until now, I told myself that that was what I was, and I told others that that was what I was, and everyone began to see me that way. That became my truth. In the 1980s, Robert Reich wrote a book called Tales of a New America, which described four different narratives that Americans tell ourselves about ourselves, including The Enemy at the Gates (“They” are out to get us) and The Benevolent Community (We take care of each other). He didn’t mean that these are distinct bedtime stories we tell our children, like Cinderella or Hansel and Gretel. Rather, he explained that when we read a news article or hear a certain fact, we set it within the context of one of these stories. These stories became our archetypes, the lenses through which we understood our national situation. Thus 9/11 became first the story of The Enemy at the Gates, and very soon after that, the charitable donations pouring in for the victims reflected the narrative of The Benevolent Community. There may have been other ways to understand these situations, but most of us never considered alternatives to the national narrative. I felt immensely empowered by choosing to no longer identify myself as a workaholic. I repeat: Whether or not I am working fewer hours is not the point. Rather, I choose to think of myself as someone who works as much as I need to, when I need to, plus also plays and enjoys life. As simple as that, I began to feel freer, and healthier. Once again, I am in awe of the power of narrative. I teach a class at Florida Atlantic University called Women & Storytelling. The class grew out of my involvement with the Women & Gender Studies Program at the university, but before that, it came from many years of performing with and for women, as well as helping them tell their own stories. When I remind women of the old saying, “The hand that rocks the cradle is the hand that rules the world,” there is always someone to remind me that there is still a glass ceiling in corporate America, not to mention government. And yet. If children’s personalities are more or less set by age six, who is it who has been doing most of the setting? More often than not, women. And how have they been doing it? More often than not, through storytelling. Maybe not formal storytelling, but I’ll bet if we could record the conversations of mothers and small children throughout the world, we would hear moms telling their kids about what happened to the little boy who didn’t look both ways before he crossed the street, or why Uncle Charlie is no longer invited to the annual family reunion. Whether or not the stories are verifiably, certifiably true is not the point. They are true in a larger sense, in the sense of truth with a capital “T.” They reflect universal truths of human experience. That’s the kind of truth that my mother taught me, and continues to teach me, as she relates story after story of her day. According to linguists, women tend to tell stories about home, family and relationships, and the stories often demonstrate their own follies. Men, on the other hand, tend to relate tales of their own and others’ exploits outside the home. Their stories about themselves often show them to be the heroes of their narratives. Whichever stories we tell, the communication scholar Walter Fisher argued that homo sapiens is also homo narrans, a storytelling animal. One of the defining characteristics of human beings, according to Fisher, is our ability to experience and understand life through story. As I share storytelling sessions with women, many of whom are seniors and have lived and heard far more stories than I have, I am constantly amazed at the wisdom, entertainment and sheer aliveness of these fascinating people who too often think of themselves as unimportant, with nothing interesting or important to say. Thoreau said that most men lead lives of quiet desperation. But somehow, most of the men I come into contact with either don’t know it, or don’t choose to let on that they know it. 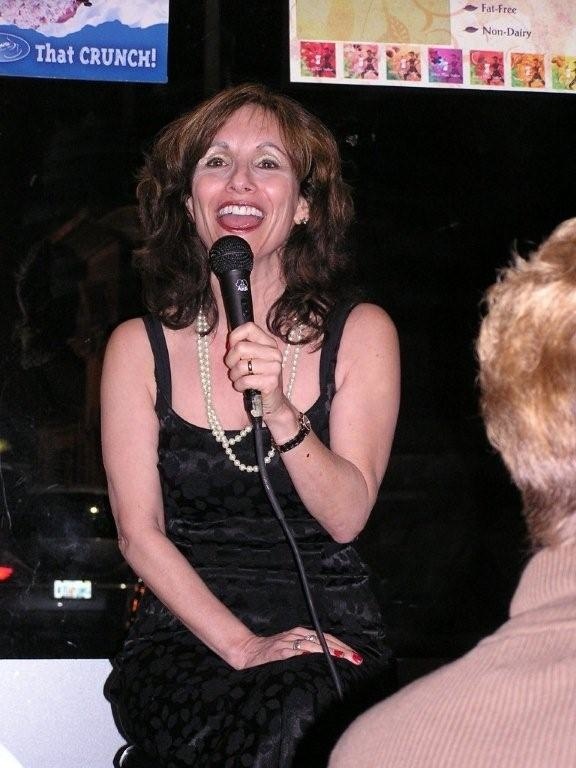 Too many of the senior women I meet, however, when I perform at country clubs and women’s groups throughout South Florida and elsewhere, have quiet desperation written all over their faces. Storytelling can change that. It can restore the sense of meaning to their lives that is so important in combating depression. For too long, men have called women’s stories “old wives’ tales,” “bubbe mayses” or “gossip.” We know the truth. To paraphrase a famous woman writer, no one ever committed suicide in the middle of a good story. Women have been silenced, as Tillie Olsen wrote, for far too long. Through our stories, we celebrate our lives. We also combat the master narratives about women that have been perpetuated for centuries. We create our own counterstories that allow us to define ourselves.